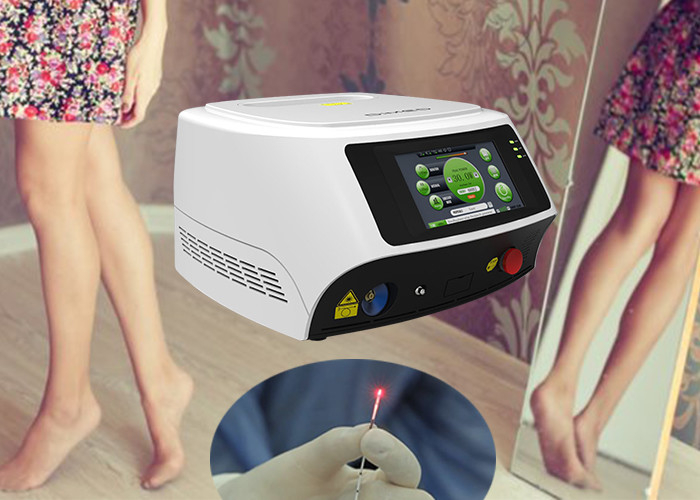 Endovenous Laser Ablation (EVLA), also referred to as Endolaser, EVLT, is an endovenous laser treatment performed in the office as a minimally invasive method for treating large varicose veins. Developed and patented by The Vein Treatment Center, EVLA uses existing laser and ultrasound technology to close the main vein from the inside with laser energy. EVLA makes costly hospitalizations, the need for anesthesia, incisions, the need for a surgeon, and patient downtime for recovery completely unnecessary. In our accredited office, a patient will undergo a ‘leg marking’. With ultrasound visualization, the problem vein and the important areas are drawn onto the skin making a map to use as a guide during the procedure. The patient then has a topical numbing cream applied to the skin for one hour. This makes the injection of the local anesthetic almost painless. While waiting, the patient chooses a movie, TV show or music to watch in surround vision glasses. In a sterile setting, the patient is placed on the table; the area is then cleaned and prepped by the doctor for the laser procedure. 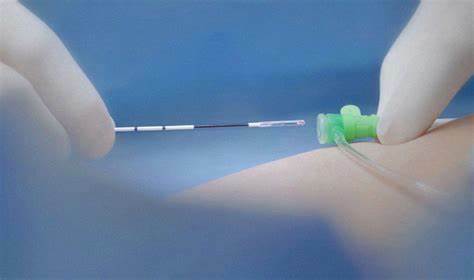 Local anesthesia is given under color duplex ultrasound guidance, and then a minute laser fiber is inserted directly into the vein through a catheter (tiny tube). Pulses of laser energy are released along the course of the vein to seal it completely. Endolaser (EVLA, EVLT) requires only a small nick in the skin. Once the laser has sealed the vein the fiber is removed and a steri-strip or a stitch closes the area. Patients who need a Mini-Phlebectomy treatment for the smaller branches will have it performed at the same time. When the procedure is complete the leg is wrapped with elastic bandages. Post instructions are reviewed with the patient, then they walk out of the office and return to their normal daily routine immediately without any pain medication. You wear the bandages until your Post-Op Visit the next day. Then your leg is unwrapped and examined. You will be slightly bruised; this will generally go away in a 1-3 weeks. Some people feel tightness in the area of the treated vein indicating that the vein is healing. About 15% of our patients need to take an over the counter pain medication like Advil (ibuprofen) during recovery. Follow-up sclerotherapy may be needed for any remaining small spider veins. This endovenous laser treatment (Endolaser (EVLA, EVLT)) is a patented procedure that laser manufacturers often refer to or publicize as EVLT™, ELVS™, or ELAS™. It is a safe and effective treatment for large varicose veins, specifically approved by the FDA in 2002 for treatment of greater saphenous vein reflux. Hundreds of thousands of cases treated successfully worldwide since its creation. Endolaser (EVLA, EVLT) has an overall success rate greater than 97%. These results are better than those of traditional surgery in the short term and the long term.